Now, onto the other end of the accessories spectrum...While in the tents at Fashion Week last month, of course I was checking out everyone's bags. I saw Muses, Motorcycles, Stams, and Birkins, but what really caught my eye were Goyard bags. Goyard is often compared to Louis Vuitton, and while both companies have been making luxury leather goods and luggage for hundreds of years, that's pretty much where the similarities end. 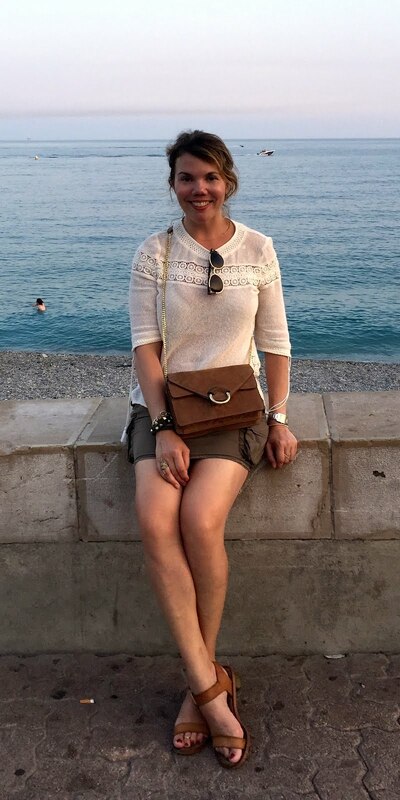 Vuitton is a much bigger company, for one, and can be bought everywhere from Macy's to various Vuitton boutiques (as well as in knockoff version on Canal Street). Goyard, on the other hand, is one of those accessory houses that fashion insiders rave about, but since, in this country, you can only buy the line at Barneys, Bergdorf Goodman, and at the Goyard store in San Francisco, it tends to remain under the radar. So aside from having this exclusivity, Goyard bags are just more luxurious--they're painted by hand, come in multiple colors, are customizable...and are thus priced accordingly. Lately I've been thinking about Goyard bags more and more, and I am definitely getting closer to obsession level. The medium-size St. Louis Tote is the Goyard bag I saw the most, and I think the most practical choice. (Yes, I know, way to rationalize.) It's big enough to fit magazines and all your essentials, but it's still incredibly chic, and I like the little wallet that comes with it. You can even buy it on Barneys' website, but I think for the ultimate experience, the best thing would be to hit the Goyard store in Paris, which, hopefully I'll be going to sometime next year. The exchange rate isn't the best right now, but after the VAT refund, that's a nice 18% discount, or about $150 (thanks to MT for the VAT tip!). Paris, here I come! Thanks for reminding me about the Goyard store in San Francisco! I had been meaning to go when they opened (last year) but, kept forgetting to make the trip. Once I read your post about bags...I HAD to go! 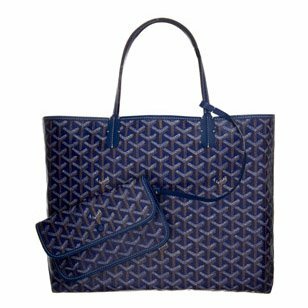 So thanks to you I own a Goyard "Fidji" bag--it's like the tote but, with a zipper (and no wallet). I'm completely in love with it and will have to start saving up for one of their smaller handbags that I saw in the store...must have that handbag in orange...must have it in orange!